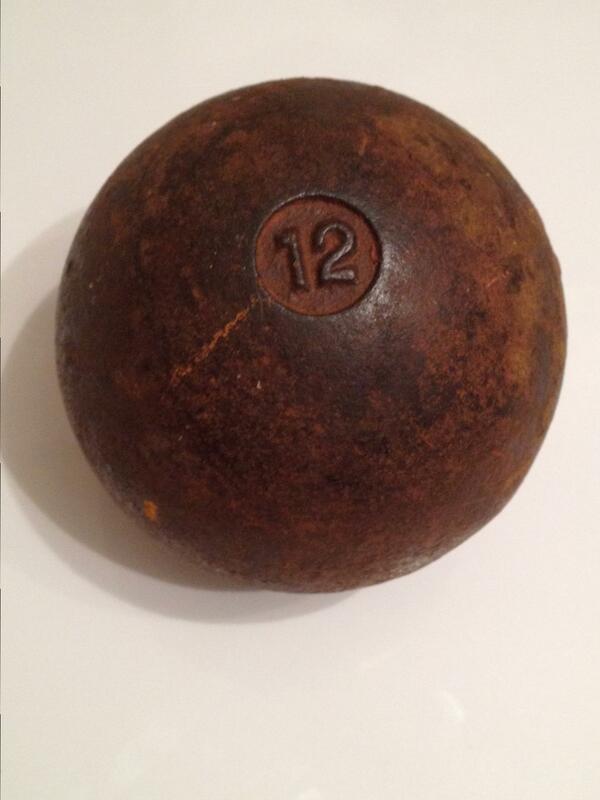 Beginning collectors beware, what may appear to be a 12lb Civil War cannon ball, is just a old shot putt, or weight. This happens so much. Cannon Balls were never stamped like this. If you see something like this, it is a weight of some kind, not a cannon ball. It is only worth it’s weight in scrap steel. Save yourself from a costly mistake!